You can check the estimated ink levels from the printer software or from the printer control panel. The icon below displays a screen where you can see information about the ink cartridges, including fill levels. Ink level alerts and indicators provide estimates for planning purposes only. When you receive a low-ink alert, consider having a replacement cartridge available to avoid possible printing delays. You do not need to replace cartridges until the print quality becomes unacceptable. HP recommends that you replace any missing cartridges as soon as possible to avoid print quality issues and possible extra ink usage or damage to the ink system. Never turn off the printer when ink cartridges are missing. 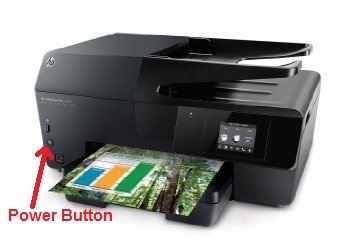 Which ink cartridges do I need for my HP Officejet 6812 e-All-in-One Inkjet Printer? For your US, European and UK HP Officejet Pro 6812 All-in-One Inkjet Printer you need HP 934 Black and HP 935 Cyan/Magenta/Yellow cartridges. There are also Combo Packs (4 cartridges in one pack) available, like the HP 934XL Black and 935 Tri-color (Cyan, Magenta, Yellow) Combo Pack. 2. 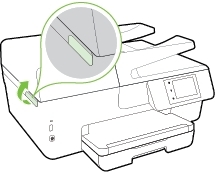 Slip your fingers into the slot on the left side of the printer, and then lift to open the cartridge access door. The carriage moves to the cartridge access area. Wait several seconds until the carriage is idle and silent before you continue. 3. Push the ink cartridge inward and then pull up to remove it from the slot. 4. Remove the new ink cartridge from its packaging. Pull the orange tab on the wrapper straight back. Make sure that you remove the orange pull-tab completely otherwise, ink might leak from the cartridge. When you remove the plastic wrap, the paper label on the top of the cartridge tears slightly, which is necessary to properly vent the cartridge. 5. Hold the cartridge by its sides, and then twist the protective orange cap counter-clockwise to snap it off the cartridge. Do not touch the copper-colored contacts or the ink nozzles. Touching these parts can result in clogs, ink failure, and bad electrical connections. 6. Turn the cartridge so that the cartridge contacts face downward, and then match the label color with the color dot on the carriage. 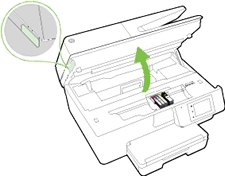 Slide the ink cartridge into the empty slot until it clicks securely into the slot. Make sure that you insert the ink cartridge into the slot that has the same colored letter as the color you are installing. 7. Repeat steps 3 through 6 for each ink cartridge you are replacing. 8. Close the ink cartridge access door. The printer automatically aligns the printhead during the initial setup. However, you might want to use this feature for print quality issues in printouts where straight lines look wavy or jagged. Load Letter or A4 unused plain white paper into the input tray first. You can align the printhead from the printer’s control panel, from the HP printer software or embedded web server (EWS). 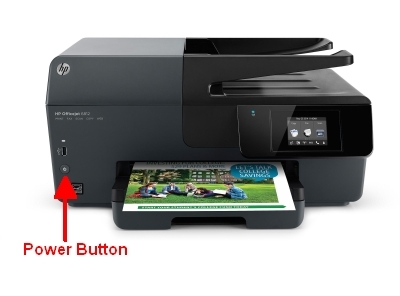 Which ink cartridges do I need for my HP Officejet Pro 6835 All-in-One Inkjet Printer? For your US, European and UK HP Officejet Pro 6835 All-in-One Inkjet Printer you need HP 934 Black and HP 935 Cyan/Magenta/Yellow cartridges. There are also Combo Packs (4 cartridges in one pack) available, like the HP 934XL Black and 935 Tri-color (Cyan, Magenta, Yellow) Combo Pack. 2. Slip your fingers into the slot on the left side of the printer, and then gently lift to open the cartridge access door. The carriage moves to the left side of the printer. Wait several seconds until the carriage is idle and silent before you proceed. 3. Press the tab inward on the front of the old cartridge to release it, and then pull up on the cartridge to remove it from the slot. 4. Remove the new ink cartridge from its packaging. 5. Pull the orange tab on the wrapper straight back. Make sure that you remove the orange pull-tab completely otherwise, ink might leak from the cartridge. When you remove the plastic wrap, the paper label on the top of the cartridge tears slightly, which is necessary to properly vent the cartridge. 6. Turn the cartridge so that the cartridge contacts face downward, and then match the label color with the color dot on the carriage. Slide the ink cartridge into the empty slot until it clicks securely into the slot and it is firmly seated. Make sure that you insert the ink cartridge into the slot that has the same colored letter as the color you are installing. If the cartridge does not firmly seat, remove the cartridge from the printhead. 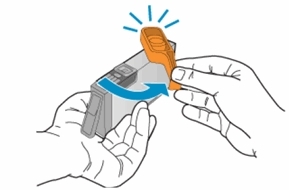 Gently bend the tab away from the cartridge, and then reinsert the cartridge into the printhead. 7. Repeat steps 3 through 5 for each ink cartridge you are replacing. Make sure you purchase the right ink cartridges for your specific printer. Cartridges are not compatible between different brands, and often not within the same brand. HP recommends that you use Original HP ink cartridges. XL (Extra Large) cartridges cost more but do provide better value in the long run. They will be able to print at least double the pages of a regular cartridge. Our advice is that if you print often, go with XL. However, ink can dry up. So if you are not a frequent printer, go with the regular cartridges. HP recommends that you replace any missing cartridges as soon as possible to avoid print quality issues and possible extra ink usage or damage to the ink system. Never turn off the printer when ink cartridges are missing. Which ink cartridges do I need for my HP Officejet 6815 e-All-in-One Inkjet Printer? For your US, European and UK HP Officejet Pro 6815 All-in-One Inkjet Printer you need HP 934 Black and HP 935 Cyan/Magenta/Yellow cartridges. There are also Combo Packs (4 cartridges in one pack) available, like the HP 934XL Black and 935 Tri-color (Cyan, Magenta, Yellow) Combo Pack. 1. Make sure the printer is turned on. 2. 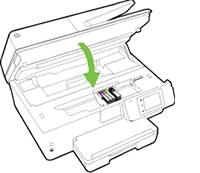 Slip your fingers into the slot on the left side of the printer, and then lift to open the cartridge access door. The carriage moves to the left side of the printer. Wait until the carriage is idle and silent before you proceed. a. Remove the new ink cartridge from its packaging. b. Pull the orange tab on the wrapper straight back. Make sure that you remove the orange pull-tab completely otherwise, ink might leak from the cartridge. When you remove the plastic wrap, the paper label on the top of the cartridge tears slightly, which is necessary to properly vent the cartridge. c. Hold the cartridge by its sides, and then twist the protective orange cap counter-clockwise to snap it off the cartridge. Do not touch the copper-colored contacts or the ink nozzles. Touching these parts can result in clogs, ink failure, and bad electrical connections. 5. Using the color-coded letters for help, slide the ink cartridge into the empty slot until it clicks securely into the slot. Make sure that you insert the ink cartridge into the slot that has the same colored letter as the color you are installing. 6. Repeat steps 3 through 5 for each ink cartridge you are replacing. 7. Close the ink cartridge access door. Align the printhead if necessary.